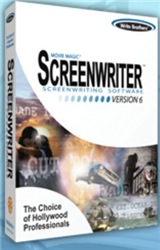 Movie Magic® Screenwriter™ 6 is an award-winning screenwriting software that formats movies, television, novels, stage plays and even comic book scripts, making it the only program for all types of creative writing. Format your script and outline it, too, now powered by NaviDoc™ technology, an innovative system that displays your script alongside an outline, scene cards, notes and bookmarks, this script writing software has a screenwriter's mind, a production assistant's heart, and a programmer's envy! With a massive set of features designed to make the writing process simple, you can get from FADE IN: to FADE OUT quickly and easily. Integrated outlining, the ability to compare drafts of screenplays and the most comprehensive production features of any screenwriting software all make Movie Magic Screenwriter the clear choice for getting your stories from concept to screen. and speakers for voice chat.